Are margarita pizza and spaghetti carbonara good for training? Let’s look at the diet of the country’s finest sportsmen. Some football players’ tastes are decidedly unsporty. The former captain of Russia’s football team Andrei Arshavin likes to eat pancakes with condensed milk, while the former CSKA player Daniel Carvalho is known for drinking cola after each match. Nevertheless, athletes are now forced to follow strict diets, especially during competitions, in a bid to improve performance. So, what type of things do they eat? During training camps, Russian athletes are usually only allowed to choose food from a special menu - so sneaking out for a quick takeaway is strictly prohibited. Diets are closely monitors, so too is each football player’s body fat ratio - if they try to eat a donut on the sly their coaches will probably find out. The food police are watching! CSKA chef Nikolai Kosaryov gets his team to start the day with porridge - except semolina - along with strawberries, kiwis, bananas, and other fruit. If an athlete doesn’t like porridge, there is another option – cornflakes or muesli with milk or yogurt. Russian team training before football friendly against Brazil, March 2018. In between training sessions, the footballers eat rice or pasta: These are so-called complex carbohydrates that release energy gradually during physical activity. There is always meat and fish on the menu, as well as other types of seafood. But foods high in fat: Fries, cream, mayonnaise, etc are banned. And of course, alcohol and energy drinks are also excluded – as they are not good for the liver. 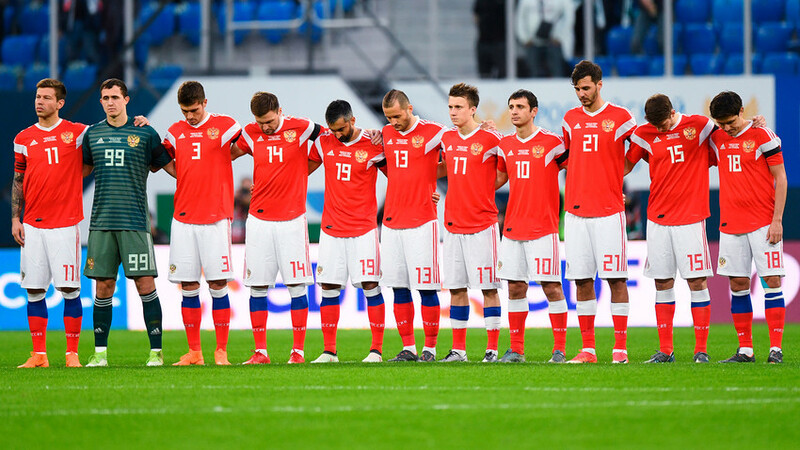 Two days before each game, the players exclude fatty meat (pork, mutton) and butter, while a day before the game they limit dairy products, according to Chief Physician of Team Russia Eduard Bezuglov. Russian national football team training ahead of friendly with Chile, June 2017. On the day of competition, athletes eat three to 3.5 hours before the match and consume “long” carbohydrates (pasta or rice) with a source of protein like fish. Some mushrooms and exotic fruits are avoided to make sure the footballers don’t have any allergic reactions. These meals are always served with vegetables and are as fat-free as possible. Following strenuous activity, a “metabolic window” opens and sportsmen are advised to eat within this time frame (30-35 minutes) to help them recover more quickly. 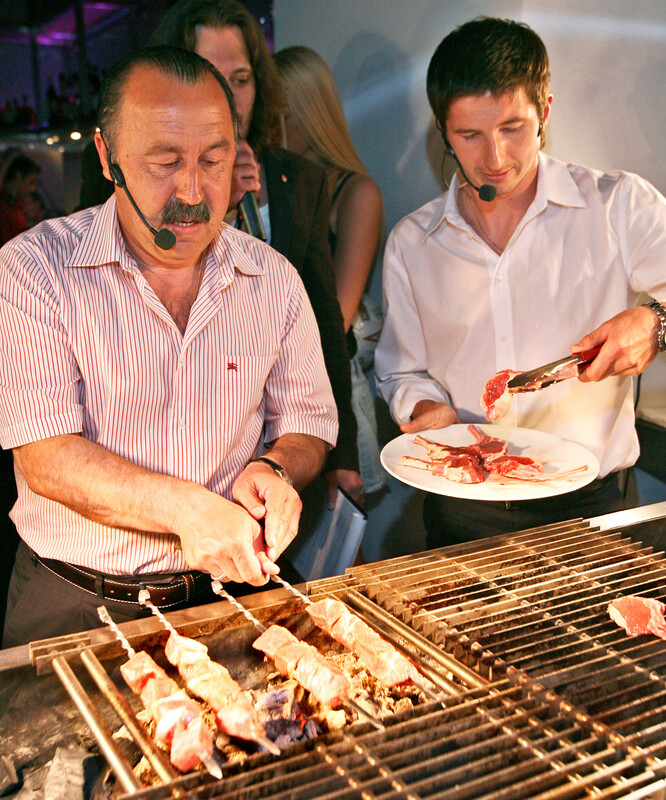 CSKA head coach and midfielder cook grilled meat in the Moscow restaurant. During this period, chefs prepare things like pizza, pies, and even pancakes. Some teams are allowed to drink a glass of wine or beer, but nutritionists say the majority of footballers pass up on this option. Breakfast: Tea or coffee, oatmeal porridge cooked with the water with honey, toast with jam or honey. Lunch: Spaghetti, grilled chicken breast or salmon steak, grilled vegetables with olive oil. Evening meal: Like lunch but with vegetables, salad, and fruit for pudding. What do you think about this diet plan? Write your thoughts in the comment section below. Read more about the menu of football fans for the 2018 World Cup in Russia here.